Alicia Sacramone Quinn is as an athlete representative on the board of directors for the Athlete Assistance Fund, which provides sexual abuse survivors with financial assistance to receive counseling. With 10 world championship medals, an Olympic silver medal and six national vault titles, Alicia Sacramone Quinn is one of the most decorated American gymnasts in history. Known for her leadership, intellect and sense of humor, she is also one of the most respected athletes in the sport more than six years after her retirement. And as anyone who has followed the news the past three years knows, USA Gymnastics could use some guidance now more than ever. Since 2016, hundreds of women have come forward with allegations and disturbing accounts of sexual abuse by former national team doctor Larry Nassar, who has received what equates to multiple life sentences on varying charges. Sacramone Quinn, 31, was not among the national team members who came forward, but she said she was horrified by what she heard from many of her peers. Now a mom of two daughters, a youth coach and an analyst on the SEC Network, she finds herself looking at the sport through a different lens, she says. At first, she wasn't sure what she could do to help the survivors, but when she heard about the creation of the Athlete Assistance Fund (AAF) in early 2018, she felt like it could be the perfect spot for her. "I wanted to be somebody that could help make a change," Sacramone Quinn said by phone last week. "The Athlete Assistance Fund seemed like a great partnership where I could help these athletes -- that maybe didn't feel like they could have a voice for themselves -- get the type of care and help they need to kind of recover from a bad experience, if they had that, in the sport." The not-for-profit organization aims to provide financial assistance and guidance for any gymnast who was sexually abused in the sport and would like to seek counseling. Working as an athlete representative on the board of directors, alongside her 2008 Olympic teammate Samantha Peszek, Sacramone Quinn tries to provide the perspective of an elite gymnast and express what they might need in terms of resources or medical and psychological care. While she fully admits that she isn't qualified to provide formal counseling, she tries to be a supportive ear for anyone who needs someone to talk to. 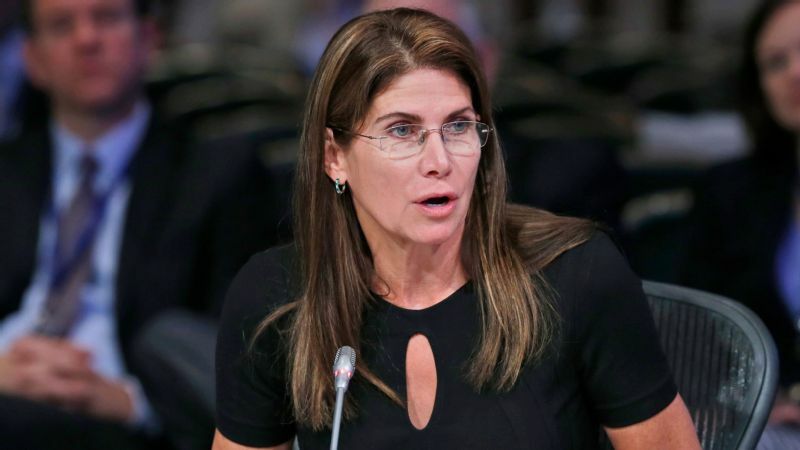 She is legally not allowed to reveal how many gymnasts have used the fund thus far, but she said it took some time for it to be utilized on a large scale. She speculates that could have been because survivors were unsure if it was affiliated with USA Gymnastics (it's not, but a link for the AAF is prominently displayed on USAG's website) or because there was a general lack of awareness of its existence. It has, however, since gained momentum and has helped a significant number get help they need. Aside from helping survivors, the organization is committed to improving athlete safety. With that in mind, the AAF announced a partnership this week with the New York Society for the Prevention of Cruelty to Children (NYSPCC) to perform a program needs assessment and provide sexual abuse prevention training workshops to athletes, coaches and parents. "This collaboration with the NYSPCC will enable the AAF to evaluate and implement the type of support needed to protect and assist our athletes," said Tina Ferriola, the AAF board chair, in a statement announcing the partnership. "We are taking definitive action to identify the issues and environment that have allowed sexual abuse in the past and to prevent it in the future. The AAF is committed to making gymnastics safe and requiring our gyms to meet the high standards these children deserve." Sacramone Quinn is optimistic that comprehensive education and a nationwide curriculum will help keep gymnasts of all levels and ages safe. 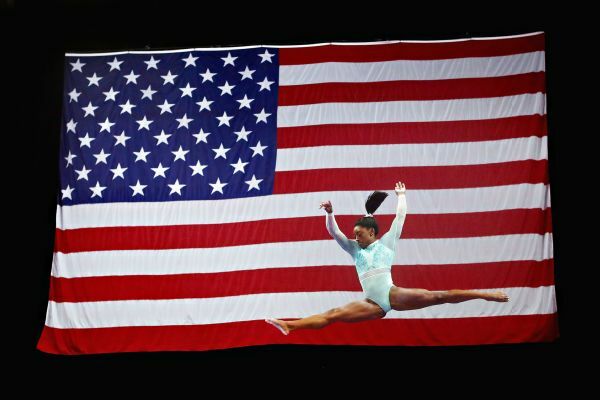 Sacramone Quinn has 10 world medals, the second-most (behind Simone Biles) of any American gymnast in history. "I think there was a culture that was set in its ways and was working the way it was working, and everybody was a little bit ill-informed," Sacramone Quinn said. "I think if everybody is more educated about it, this won't be able to happen again because we know better and what to look for and are more informed about it." 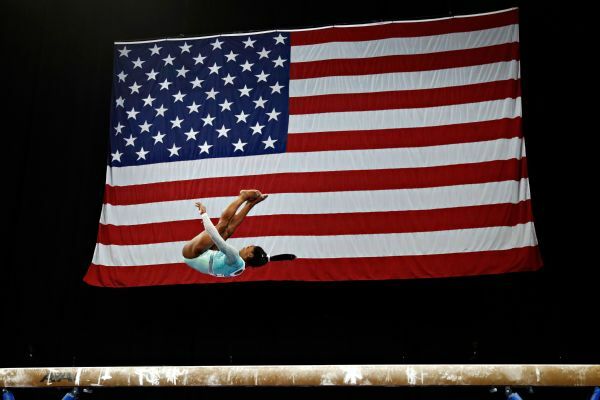 She is encouraged by USAG's recent hiring of Li Li Leung as its new CEO and president after a string of mistakes and mishires and is hopeful that Leung can bring the sport back to its former prominence while putting the well-being of the gymnasts first. 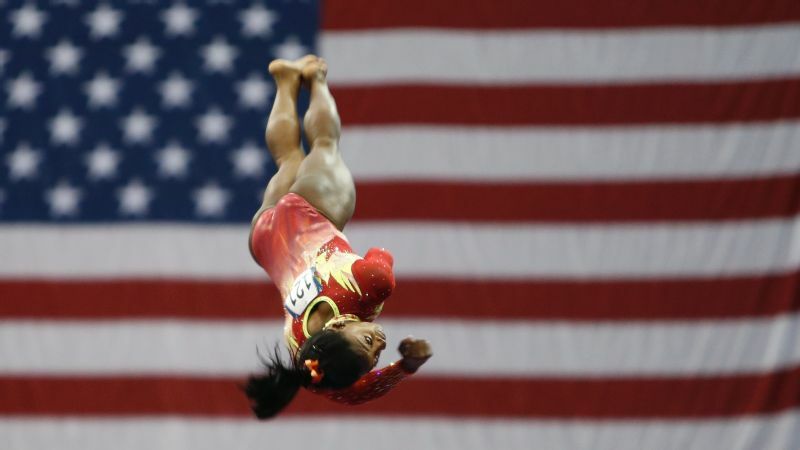 But, Sacramone Quinn said, the organization has a long way to go and knows it will take a lot to regain the trust of gymnasts, their families and the public. "The athletes need to be No. 1 and the priority," she said. "They need to make sure the gymnasts are physically, mentally and emotionally healthy and happy because I feel like athletes compete at their best when those three things are all in good standing. And they need to make sure parents are informed and able to travel to see their kids compete. We weren't allowed to see our families until after competitions were completely over, but they should be allowed to be there for the exciting moments and the heartbreak. "There needs to be a good relationship and constant communication between the governing body, the families, the athletes and all the clubs around the country," Sacramone Quinn said. "There need to be thorough background checks for all the coaches being hired, and they need to be required to take safety certification classes. I think if the hiring process was more grueling and intense, it would ease the minds of parents and let them know this person is safe to be around their children. I know, as an athlete, I wouldn't have even thought twice about that because you have so many other things going on, but now as a mom and a coach, I'm just like, 'How did so many people make it through the background check and become coaches?'" Despite the current state of the sport and the continuing fallout from the Nassar scandal, Sacramone Quinn looks back with pride on her gymnastics career and hopes she can help ensure that others will get to have positive experiences as well. "I loved wearing red, white and blue and being part of Team USA. For me, that was such a huge moment," she said. "And I hope other athletes feel that way too -- and that others will again in the future."